Renga is a form of collaborative poetry that originated in Japan. Here at the INKubator, it’s a daily, ongoing event for the entire community. This is the first renga we’ve written as a group. We started this right after we opened our doors and it came together well. So prepare yourself for a trip on the high seas! Sails snap in the breeze. a journey starts for this world’s end. as the shore falls from sight. He shouts at the grey outcrop ahead. fighting the pull of the tide. Pirate knives gleam through misty spray. accompanied by cackles and grunts. the adventurers draw their swords. where sword meets flesh and axe meets bone. Tentacles emerge from between the bars. Eyes glow red in the blackness. that struggle to turn the key. Will the kraken recognise friend from foe? the ship towards dangers new. 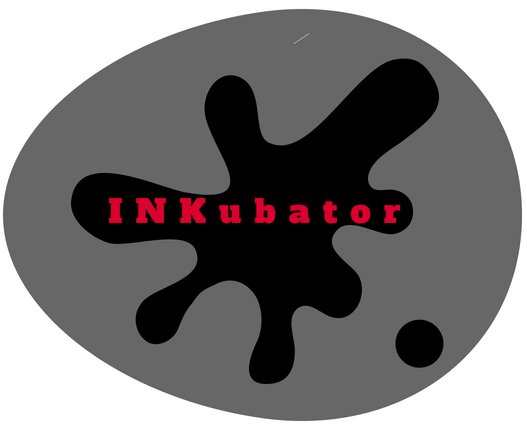 INK-ubator aspires to be a safe and inclusive home for writers of all skill levels and backgrounds. As a community, we celebrate our diversity and work to help each other improve our skills as both writers and editors and to encourage each other in our efforts. We believe that growing as writers requires a combination of skill practice and development, editing and review input from others, and mastering the ability to put words on paper. We respect, however, that everyone has their own path and that not every method works for everyone. The goal is to create an environment that encourages creativity, growth, and exploration of methods and styles of growth. If a community like this appeals to you, feel free to check out our website, take the little quiz to see if we might be a fit, and join us on Discord.